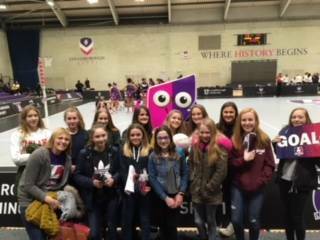 home > Calendar & News > Latest News > Uncategorised > Pupils thrilled to see top-level netball with Loughborough Lightning and USC Sirens. Pupils thrilled to see top-level netball with Loughborough Lightning and USC Sirens. 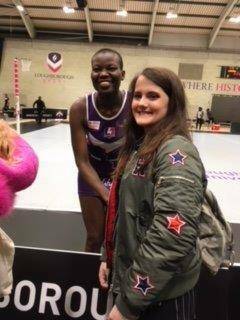 On Saturday 10 February, 13 pupils travelled to Loughborough University to watch the first game of the 2018 Netball SuperLeague season. 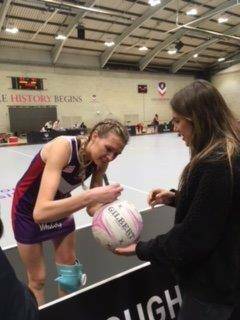 The match was between Loughborough Lightning and USC Sirens, with Natalie Panagarry, who opened our new netball courts earlier this year, captaining the Lightning side. 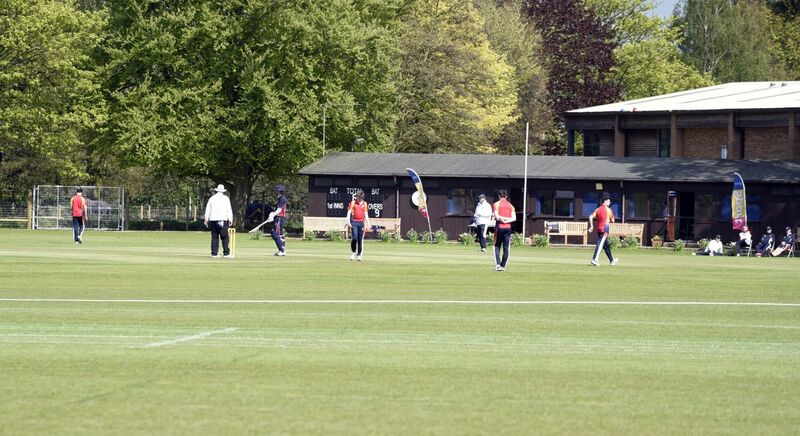 It was an exciting game with fantastic skills on show from the players on both teams. It proved to the Wisbech Grammar School pupils that netball really is a sport where you have to contest and go for every ball. Players were cautioned and one was even sent off for two goals. The most noticeable thing was the sheer size of some of the players and their ability to intercept the ball. At the final whistle, Loughborough were victorious, 55-44. Our pupils learned a great deal about how the game is played at top level and enjoyed meeting the players afterwards and getting them to sign a netball. Annie Bennett, Hannah Lemmon and Ellie Payne-English of the WGS 1st team had their photo taken with Panagarry and Beth Cobden of Loughborough Lightning. Mrs Goodier is hoping to run other trips this year to watch another SuperLeague match and the Fast Five event. Watch this space for information.